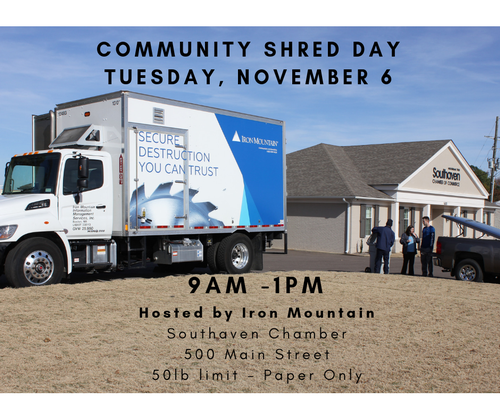 Iron Mountain is hosting a Community Shred Day. Bring your paper documents to be destroyed! 50 lb limit. No plastic or metal accepted. Please remove documents from binders, clip boards, metal binding clips, etc.